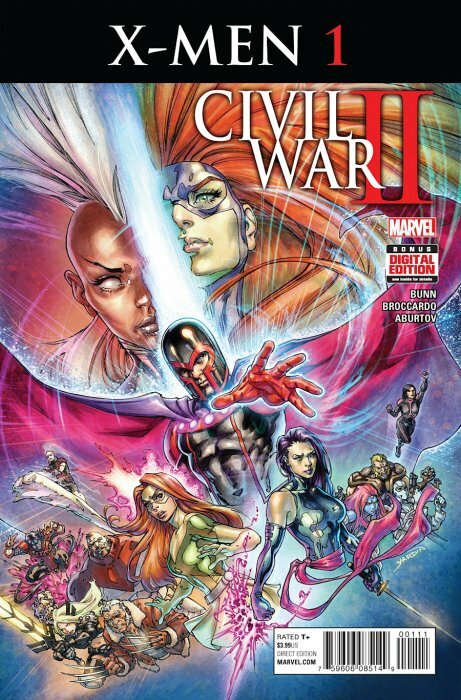 Hopefully this miniseries is better than Civil War : X-Men. 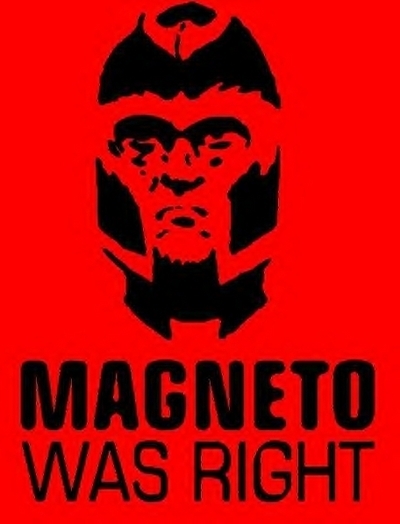 I imagine we are getting Magneto v Storm, whereas the first one had Cyclops v Bishop. The Inhumans let lose a global terrigen mist bomb. Mutants are on the run. 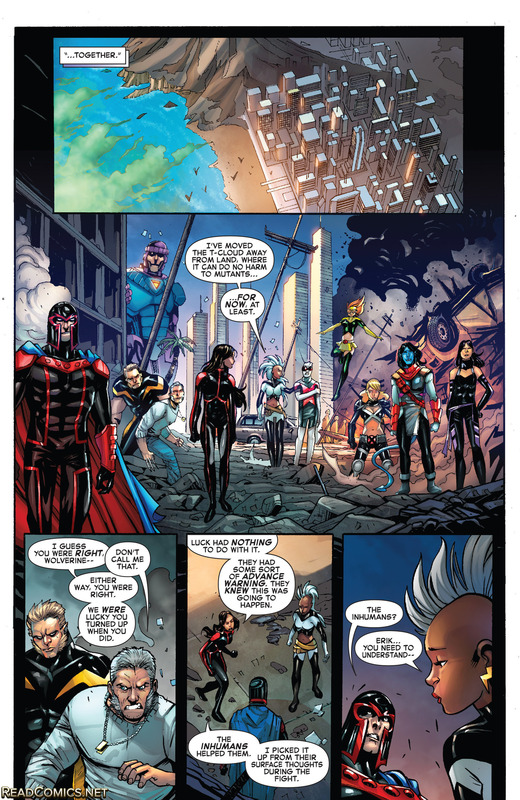 Storm’s team, the Extraordinary X-Men have sworn to protect humans, Inhumans and mutants alike. 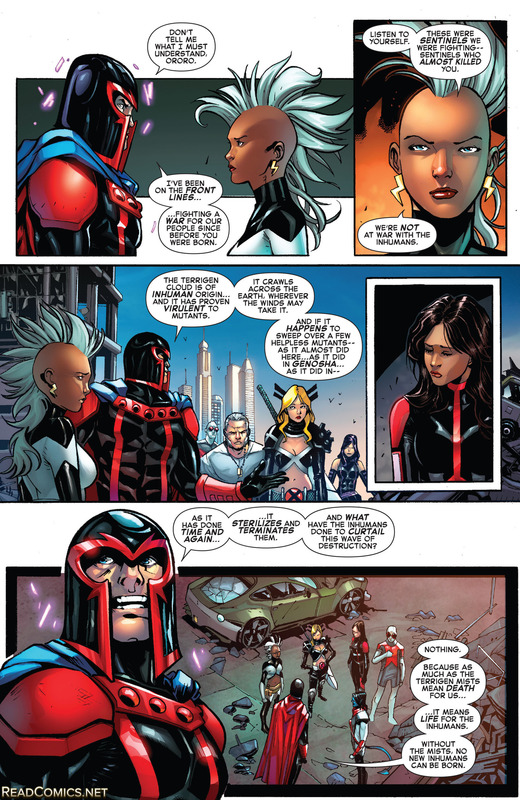 Magneto’s team, the Uncanny X-Men, have decided to seek out opposition and stop threats before they have had a chance to strike. Dubai. The mist is on the way to the grand Arabian city. The rich mutants of the city have locked themselves inside the penthouse. 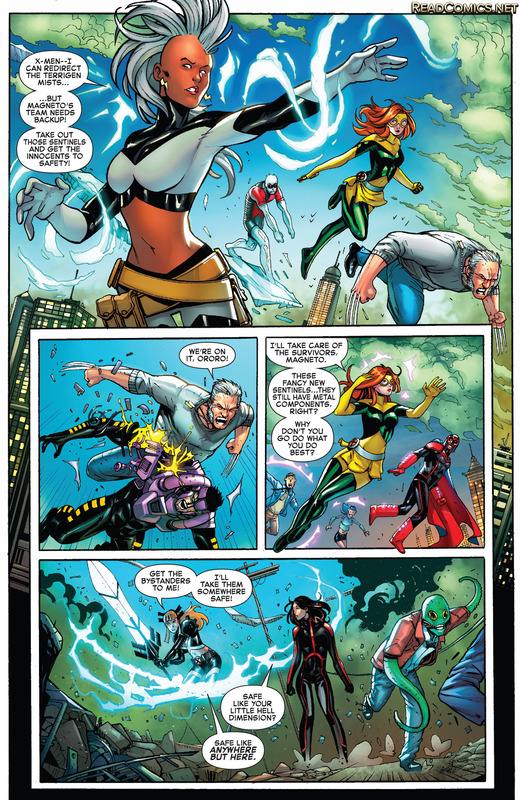 Magneto’s team – Sabretooth, M and Psylocke – arrive with the poorer mutants. No mutants will be killed due to the cloud’s effects this day. That was, until the servants turn out to the Prime Sentinels. They want all mutants to be dead, so they blow out the windows. Which does seem odd, I would imagine instead of a penthouse, the mutants should have gathered in a baseman. The Uncanny X-Men start trying to get the mutants away from the incoming cloud. Just then, the winds start blowing the mist into the opposition direction. 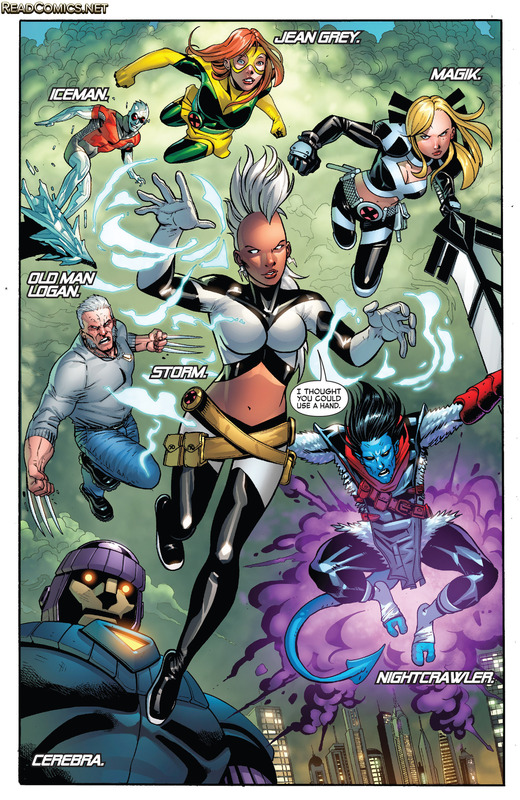 Storm and her Extraordinary X-Men have arrived. Man, Illyana looks so off without her bangs. We’re seeing too much of her forehead! It looks unsettling. 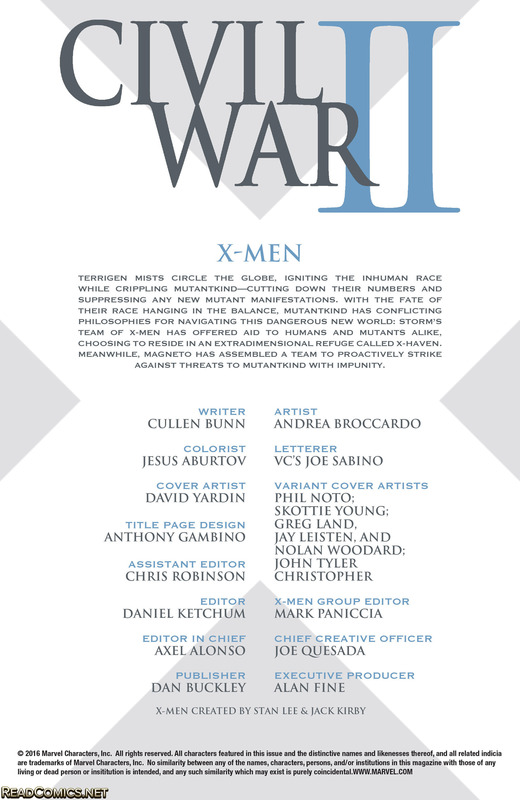 The Extraordinary X-Men are – Iceman, Teen Jean Grey, Magik, Nightcrawler and Old Man Logan. 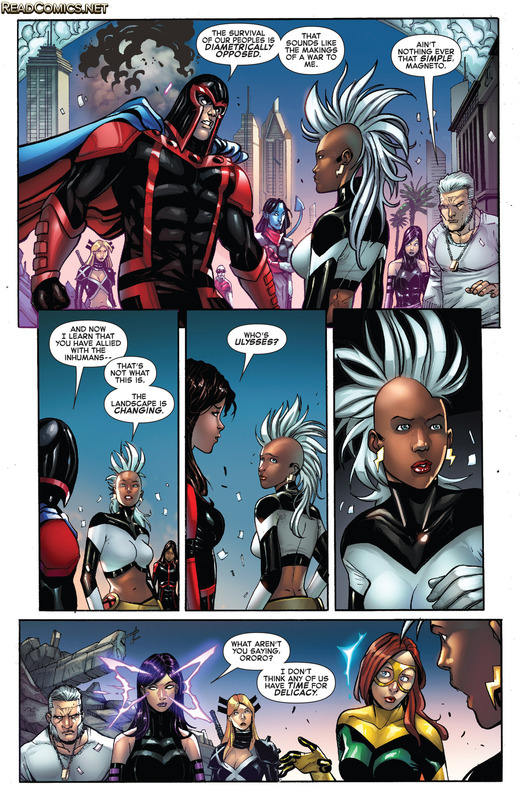 Storm orders her X-Men to assist Magneto’s X-Men. Teen Jean doesn’t know about Sentinel Primes. She does point out how Magneto should have just ripped apart the Sentinels when they first appeared. Magik starts to teleport the bystanders. We get some more tension between M and Magik, which Bunn hinted at in his Uncanny X-Men series, issue five. I’m still not sure where the hostility comes from. Kurt and Psylocke see each other, though I’m not really sure that they have that much history together. They teamed up several times during his Excalibur days. Magik and Jean hint that they have been given future knowledge. This catches M’s attention. Is this the first time Sabretooth has met Old Man Logan? It seems to waste their first meeting in this miniseries, if that is the case. They do not get along, which makes sense. I do like Sabretooth teasing Old Man Logan. Old Ma Logan looks weird without wearing his jacket. Magneto saves Storm from being attacked by Prime Sentinels. If Storm could move the T-Cloud why isn’t she just constantly moving these clouds? Old Man Logan doesn’t like being called, Wolverine. Since when did M become a slight telepath? She knows about Ulysses as she picked up the thoughts from Magik and Teen Jean earlier. Magneto doesn’t like that Storm is willing to work with the Inhumans. The Inhumans’ actions have brought death to mutants and that is unforgivable. I like Bunn taking the time to tease his Uncanny run, if someone wants answers, they could pick up those issues. I imagine they are hinting at (Arch)Angel, as he isn’t with the team here. If that was the case, though, why wasn’t Psylocke shown has having her head down and being sad? I do feel like I want to be on Magneto’s side with this as I too do not care for the Inhumans, ever since Inhumanity started. M mentions Ulysses by name and Pslocke, a full telepath, decides to now use that power on Teen Jean. We get a page recap of Civil War II 0 & 1. 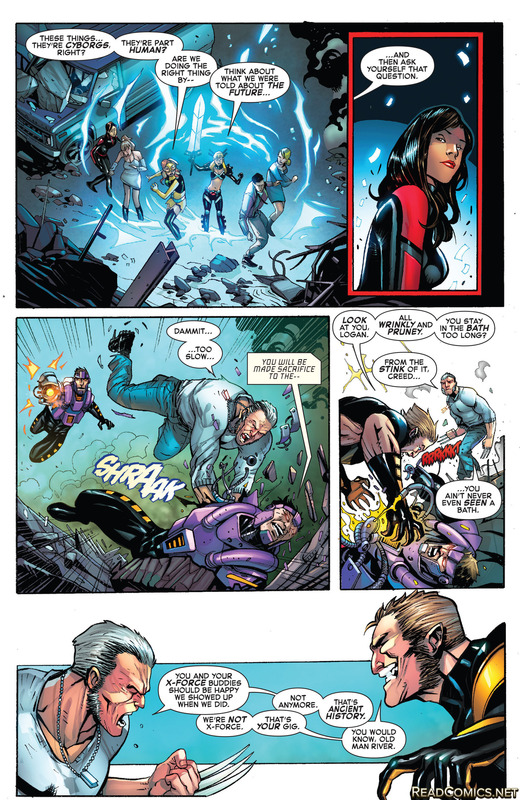 Teen Jean straight forces Psylocke to throw up – which seems both unnecessary and disgusting. She’s the worst. The two teams go separate ways. I know I’ll be getting the second issue so we’ll find out more. Hopefully Kurt isn’t just being a spy for Storm as that seems too easy.